As the engineering counterpart to Professor Rosenfeld, Professor Ulrich Steinseifer has a particular focus on the technological aspects in the overall leadership of the institute. He ensures the integration of engineering and IT faculties, allied organisations and industry in order to translate new technologies towards their clinical application. 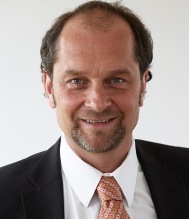 Uli holds a Ph.D. in mechanical engineering from the RWTH University in Aachen, Germany. During his professional career, he held various positions in the medical device industry, ranging from Project Manager at the largest German hospital supplier (B. Braun Melsungen AG) to Director and CEO of a German, French and US based startup enterprise (Triflo Medical Inc). In addition, he made successful use of his industrial experience as a freelance consultant and entrepreneurial coach, and (co-)founded seven startup companies in the field of medical devices and engineering services. In 2003, Uli returned to academia. Besides his position as a Professor of Medical Engineering and Co-Director of MIME at Monash University, he is also heading the Department of Cardiovascular Engineering at the Helmholtz Institute of the RWTH University in Aachen, Germany, as a full Professor. Uli’s primary research focuses on artificial organs, particularly on heart and lung support and replacement systems, as well as devices for structural heart disease therapies. Dr Jason Smythe is the senior administrator of the Institute responsible for all operational, partnership, business development and commercialisation activities of MIME. Jason has over 25 year’s senior business management and commercialisation experience in the Australian and USA biomedical and biotechnology sectors. He is highly experienced in business operations having held Chief Operations Officer (COO) positions in two commercial biotechnology companies, and as Officer in Charge for the CSIRO Life Sciences Facility (NSW). Jason has extensive intellectual property management and commercialisation experience, partnership management expertise, and proven skills in new business lead-conversion having directly delivered over $50 million in external income to the Faculty of Medicine at Monash University while Senior Business Development Manager for three years prior to joining MIME, and $44 million to the Faculty of Medicine at The University of Melbourne while Senior Business Development Manager at that Institution. Jason is accomplished in strategic and operational planning; business analysis and financial management; commercialisation; project management and marketing; knowledge and intellectual property management; personnel management, implementing culture-change and establishing commercially productive and output-focussed teams. 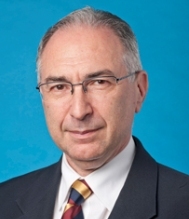 He holds a BSc (Hons) degree from Monash University, a PhD from the Faculty of Medicine at The University of Melbourne, Graduate Management qualifications from the Australian Graduate School of Management (Sydney University), and is an elected Associate Fellow of the Australian Institute of Management (AFAIM) and Fellow of the Australian Institute of Company Directors (FAICD). He currently hold appointments with two Federal Government Advisory Committees (GTTAC), and has been a Director of a number of successful biotechnology and commercial companies. 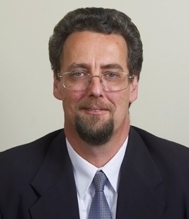 Professor Jeffrey Rosenfeld is responsible for overall leadership of the Institute. He has a particular focus on overall clinical leadership of Institute activities, and ensuring close integration with our hospital partners, development of the clinical nodes of MIME, and strong participation by top clinicians in the definition and joint leadership of MIME research programs. Jeffrey also plays a leading role in philanthropic engagement. Senior Neurosurgeon, Department of Neurosurgery, The Alfred. Adjunct Professor in Surgery at the F. Edward Hebert School of Medicine, Uniformed Services University of The Health Sciences (USUHS), Bethesda, Maryland, USA, Honorary Professor of Neurosurgery Longgang Central Hospital, Shenzhen China and Honorary Professor in Neurosurgery, University of Papua New Guinea (PNG). Major General, Australian Defence Force. a principal investigator in the Monash Bionic Vision Group. His research interests include: Brain machine interface, Medical bionics, Electrode design, Neurotrauma, Application of stem cell technologies to brain and spine, and Military medicine applications. His capabilities include Design and implantation of intracranial, intra-spinal devices (human and animal), Clinical trials, Medical robotics, Ethics of medtech applications, Military Medicine, Surgery and Neurosurgery. Susan Newland is the Executive Officer for the Institute and is responsible for coordinating projects, communications management, event management, executive support, executive committee and advisory board support, stakeholder engagement, establishing and reviewing process and systems and records management. In 2016 she coordinated and managed the inaugural annual MIME Medtech Industry Innovators Showcase Day. The event was a great success and attracted approximately 160 attendees from industry, government, the University and other institutions. Susan has over 10 years’ experiences as an administrative professional in the tertiary education sector, secondary education sector and retail sectors.